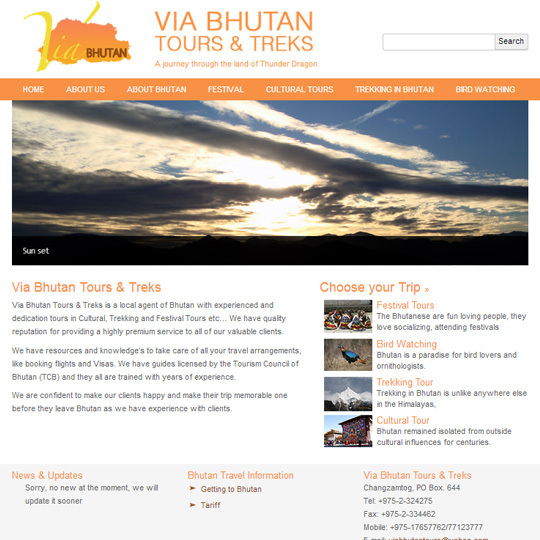 Yet another creation for a local travel company. We had presented different mock ups with color codes in accordance with the logo of the client. The client left very delighted and believe it or not, he left us after an hour long tutorial with which he can magically update the contents to his travel website.